For August the BOXYCHARM theme is Beach Please, they are totally reading my mind right now. If jetting off to a sandy beach is not an option right now, BoxyCharm at least has us covered with one last beachy makeup lookf for Summer. Last months box was pretty much the best ever, so lets see if they can keep it going this month! ..Spoiler! There is a full size Tarte eyeshadow palette in here. Yep, they brought it again. BoxyCharm is a subscription box where for $21 mo. they send you 4-5 full size beauty products. Shipping is always free. 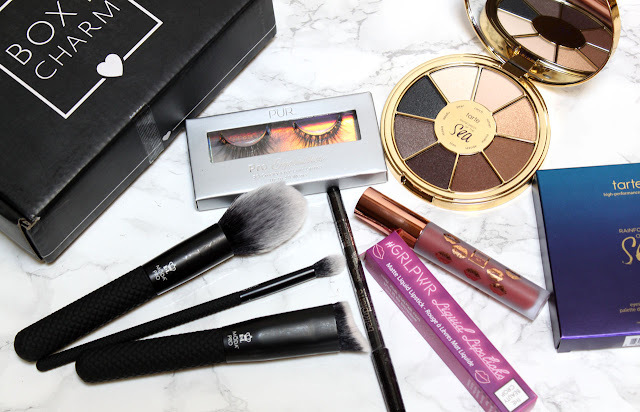 It's basically the last remaining awesome beauty box worth subscribing to. 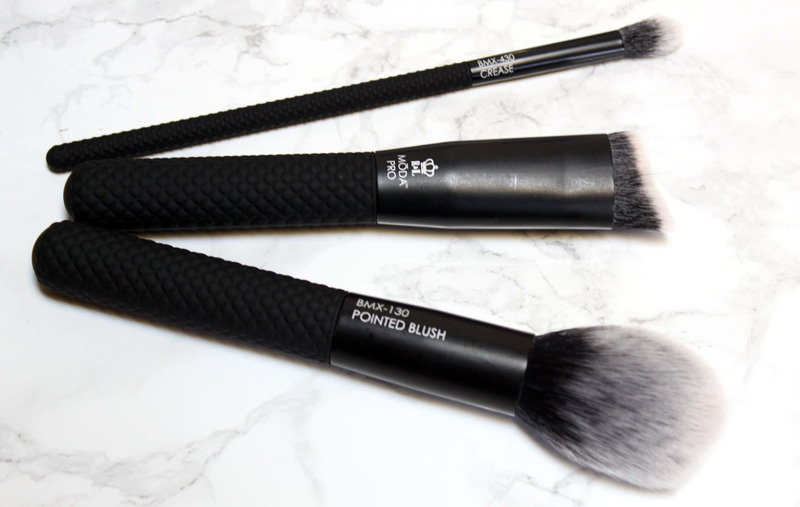 The Moda Pro 3-piece brush set features a pointed blush, chisel blender, and a crease brush. Royal & Langnickel is a line of brushes I have been wanting to try for awhile now so I was happy to get this set. They are super soft! I like that this is a variety of brushes that will actually be useful and not another fan brush. Creamy, waterproof eyeliner for true definition that lasts all day. This liner glides on smoothly and is formulated with pure minerals, natural waxes, and antioxidants - making them hypoallergenic and safe for all skin types. Having sensitive eyes I appreciate that! This is a nice basic black liner. It glides on easily and can be smudged out. You can't really go wrong with a good black eyeliner so I like when they include these. I always have a back up or one to pass along to a friend if I don't use it for myself. PUR's 3D lashes are handcrafted with the finest luxury silk to provide ultra-lightweight natural looking, fuller lashes. 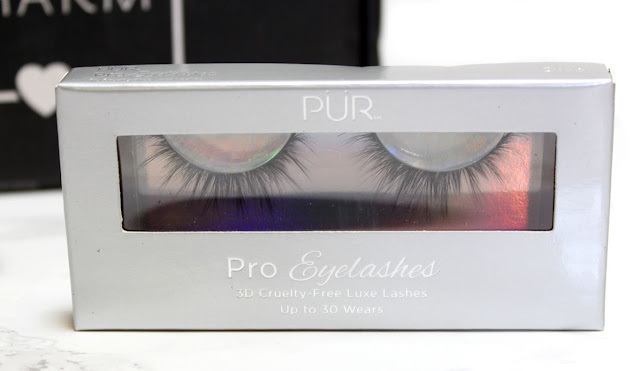 I had no idea PUR made lashes! These look so naturally pretty and voluminous. They also claim you can get 30 wears out of them. That would be pretty amazing! 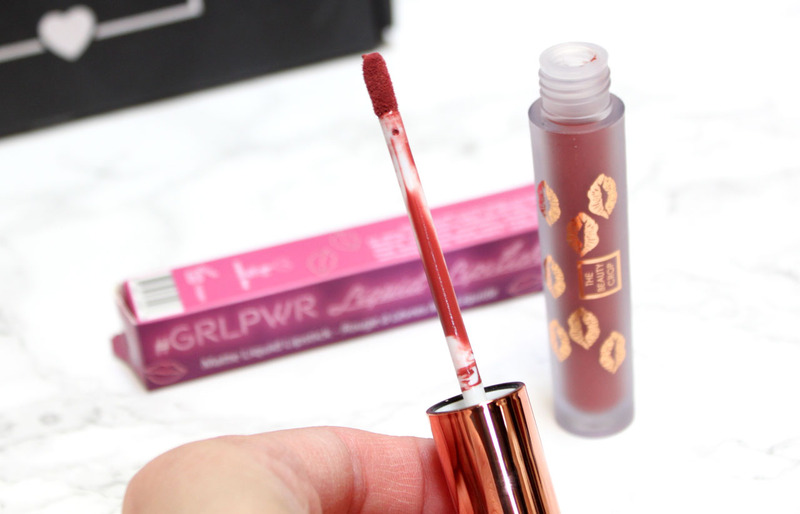 An intensely pigmented liquid lipstick that is life-proof with serious staying power. Okay, so BoxyCharm had to get in ONE instagram photoshopped makeup product in here, but I forgive them because the rest of the box is fantastic. I am not a fan of these terribly drying liquid lipsticks in another basic terracotta mauve shade, but here's another one. Rainforest of the Sea Vol. II is a crease-free eyeshadow palette with the best-selling creamy powder formula in eight, cool-toned shades. 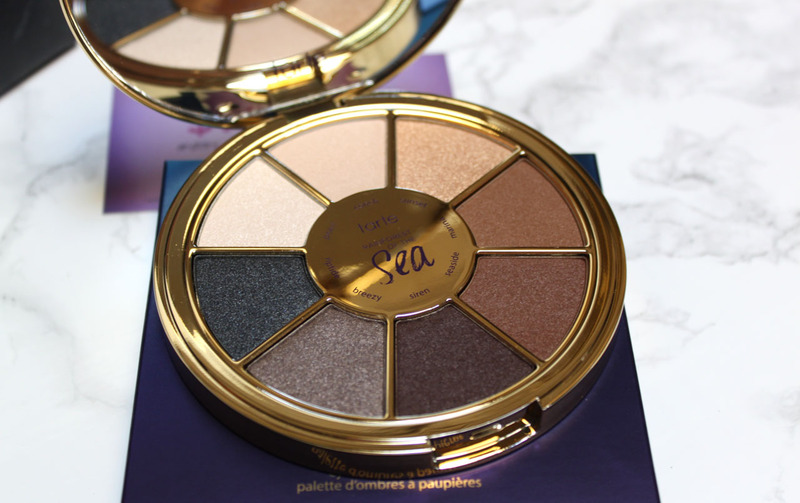 I am so excited about this palette! Cool-toned shimmering neutrals are my jam. The packaging is beautiful and I love that it's a great size for traveling. Tarte makes such pretty eyeshadows but I often have trouble with their clay formula. I have worn the Rainforest by the Sea II palette every day since it arrived with zero problems. 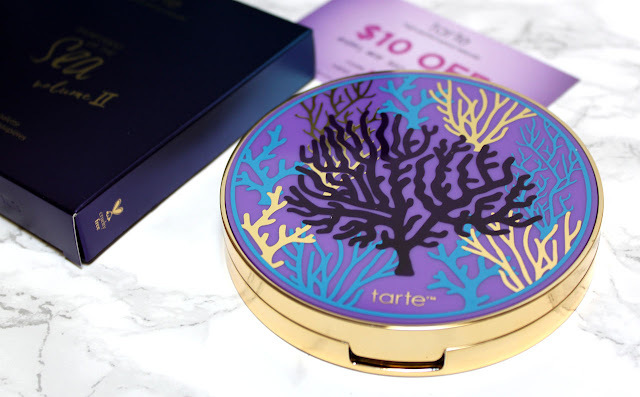 I am so happy this doesn't irritate my sensitive eyes like the other tarte shadows because this palette is gorgeous. These shades will easily take you in to Fall. Obviously that Tarte palette straight made this months BOXYCHARM. I enjoyed that everything in this box put together makes a complete makeup look. I can't wait to see what September has in store!